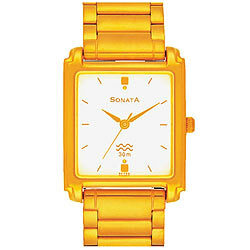 Show your perfect style by wearing this Attractive Titan Sonata Watch for Men in Golden Colour. 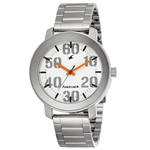 This elegant gents watch has various features like quality metallic case, square shaped dial in white colour, steel strap in golden tone and water resistant capacity. This watch also comes with 9 months warranty.